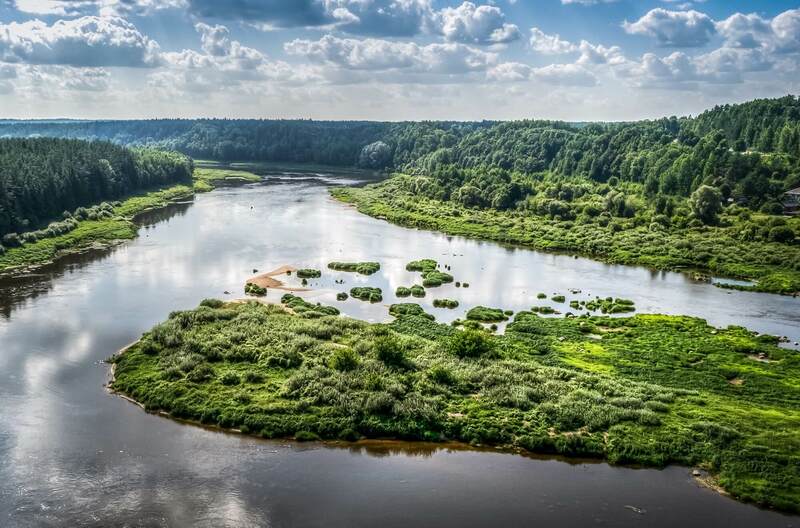 The River Daugava or Western Dvina is a river rising in the Valdai Hills, Russia, flowing through Russia, Belarus, and Latvia and into the Gulf of Riga. The total length of the river is 1,020 km (630 mi): 325 km (202 mi) in Russia, 338 km (210 mi) in Belarus, and 352 km (219 mi) in Latvia. The total catchment area of the river is 87,900 km2 (33,900 sq mi), 33,150 km2 (12,800 sq mi) of which are within Belarus.